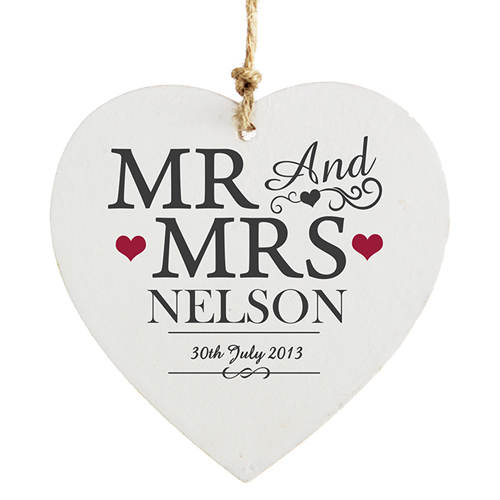 Personalise this Mr & Mrs Wooden Heart Decoration with a couples surname up to 15 characters and date up to 20 characters..
Comes with both twine and ribbon. Ribbon colour may vary. Surname will appear automatically capitalised.